Step 2: Navigate to the menu in the lower left corner of your screen and select Billing. This will bring you to the Billing page. From here, you can view your plan or easily select a new plan. 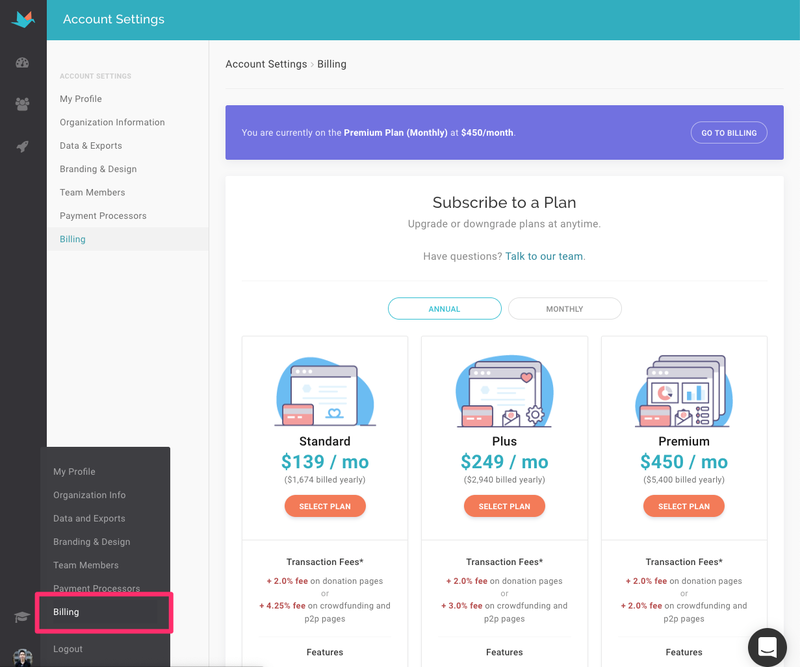 To view our monthly plan options, you can select "Monthly" at the top of this section. Step 3: Enter in credit card information if applicable. 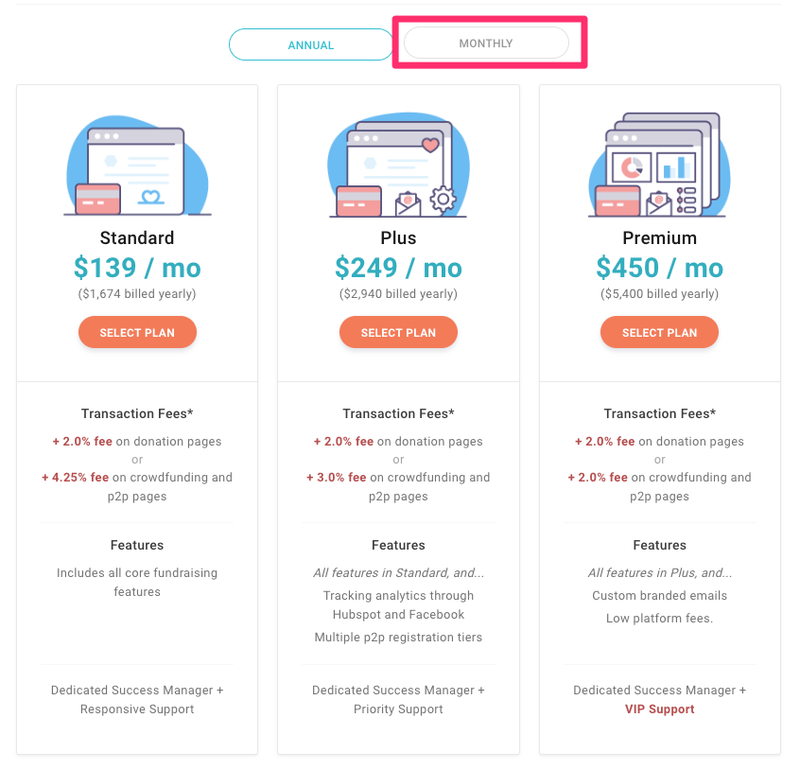 On the Billing page, you can also scroll down to view your recent invoices, update your credit card, or suspend or cancel your account.